The less than holy Blues brothers, Jake and Elwood, have finally been recognized for their service to the Church in all things Blues as the Vatican (technically the Vatican News Paper L'Osservatore Romano) calls the Blues Brothers movie a "Catholic Classic." Reasons for this approval include but are not limited to the bothers being on a mission from God, Elwood's ascetical diet of dry white toast and water (Elwood does play the role of a monk like hermit), the trickery they give the Illinois Nazis (dang commies), Elwood remaining open and pursuing (though not very long) the possibility of a vocation to the priesthood, and the church visits. 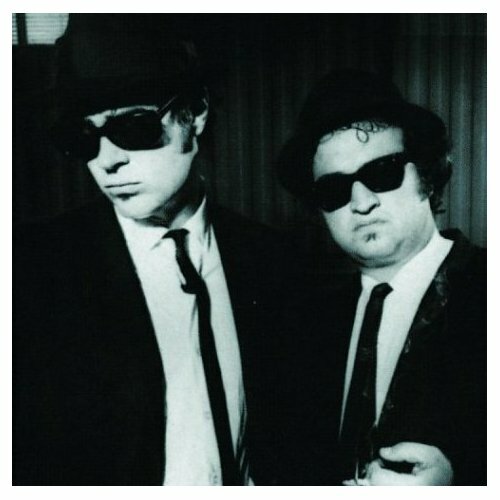 The real question is who long till we have the Blessed Blues Brothers? That would make a great vocation poster slogan.